CAMBRIDGE, Mass.--(BUSINESS WIRE)--LEO Science & Tech Hub, an R&D unit of LEO Pharma dedicated to identifying, developing, and funding innovative solutions that improve the lives of people with skin diseases, today announced a collaboration agreement with Elektrofi, a Cambridge-based biotechnology company focused on drug delivery innovations, to explore advanced formulation technology for dermatological drug delivery. The LEO Science & Tech Hub is recognized for its unique collaborative approach of seeking cutting-edge technology for dermatological applications. Within the first year of its launch, The Hub has successfully formed multiple collaborations to explore minimally invasive biomarker technologies, drug delivery technology, and advanced imaging technology with leading research institutes and biotechnology companies, including The Karp Lab, Novopyxis, and The Wellman Center for Photomedicine at Massachusetts General Hospital. The LEO Science & Tech Hub is a R&D innovation unit of LEO Pharma dedicated to identifying, developing, and funding innovative solutions that improve the lives of people with skin diseases. It was founded in 2016 as a catalyst to transform early-stage innovations into solutions for improving the lives of people with skin diseases. We collaborate, explore cutting-edge ideas and make investments. We are an agile group of scientific experts with an entrepreneurial mindset and a vision of how to give patients control over disease by predicting, diagnosing, and monitoring a condition. The LEO Science & Tech Hub is based in Cambridge, Mass. For more information, please visit www.leo-scitech.com, or connect with us at engage@leo-scitech.com or on Twitter @LEOscitech. Elektrofi is a MIT founded biotechnology company in Cambridge, MA working on transforming drug delivery. 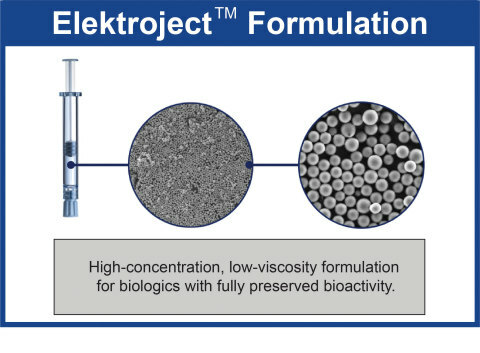 Founded in 2016, Elektrofi has developed its Elektroject™ platform which is capable of concentrating biologics by greater than 15x, and is using this technology to create a paradigm shift from long duration infusions to quick, cost-effective injections. For more information, please visit www.elektrofi.com, follow us @elektrofi or send a message to info@elektrofi.com. LEO Science & Tech Hub announces a collaboration with Elektrofi for formulation technology to improve dermatological drug delivery.